Danish wind turbine manufacturer Vestas has just landed a contract in Mexico for 306 MW, taking its total power-producing capacity there to 2.1 GW. The order has been placed by EnerAB, a joint venture between the AES Corporation and Grupo BAL and the turbines will be sited in the Mesa la Paz wind park. “Vestas continues its strategic focus on the Mexican market by increasing both its manufacturing footprint and installed capacity, which supports Mexico’s development and creates jobs,” said the senior sales director, Enric Català. Mexico is moving towards large-scale tenders and auctions, but corporate power purchase agreements continue to originate large-scale projects outside of the auction systems. Bloomberg New Energy Finance estimates that corporate agreements in Mexico totalled 5.4 GW in 2017, with the number expected to grow in 2018. 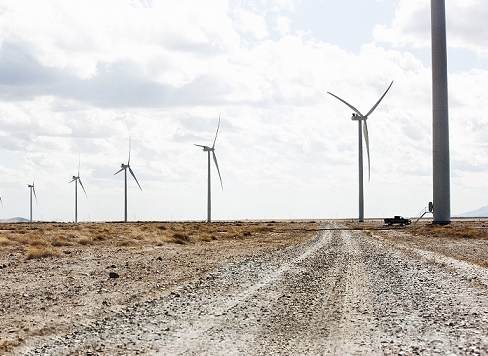 In addition to its Mexican project, Vestas has also received an order for 100 MW from Southern Power, a leading US wholesale energy provider, for the Wildhorse Mountain wind project in Oklahoma. The order includes the supply and commissioning of the turbines as well as a 20-year active output management service agreement. Turbine delivery will begin in the second quarter of 2019. A judgment handed down in the Eastern high court, Østre Landsret, could open Saxo Bank up for multiple lawsuits in future. The court ruled that the bank acted illegally over currency dealings in Swiss Francs back in 2015, reports BT. Saxo Bank has been ordered to pay 1.6 million kroner plus interest to Greyzone, the company that brought the case. In addition, it will have to pay costs of around 434,000 kroner. This verdict overturns one reached by the maritime and commercial high court, Sø- og Handelsretten, in 2016. A number of other customers also suffered losses and are expected to resort to legal action to obtain compensation. The bank’s finance director, Steen Blaafalk, said the company was analysing a verdict that it found “surprising”. The German second-hand clothing fashion site Rebelle has taken over its Danish competitor 2nd Edit, reports aimgroup. The terms of the deal have not been revealed. With the deal Rebelle, which also operates in the UK, Italy, Austria and the Netherlands, will be able to expand into Scandinavia. Founded in 2013, Rebelle focuses on used designer-label fashions, and co-founder Cécile Wickmann claims it has ‘eight figure’ annual euro revenues and over 600 percent year-on-year growth. It is also not known if any of 2nd Edit employees will be laid off as a consequence of the merger. The IT firm Nets, which is behind Denmark’s NemID log-in system, has merged with the German firm Concardis. Recently, Nets was taken over by the capital fund Hellmann & Friedman and delisted from the Danish stock exchange. Germany is seen as an area of great growth potential as three out of four payments are still made in cash. Together, the company will have an estimated turnover of 9.7 billion kroner and operating profits of 3.7 billion kroner. The owners of the merged companies will be capital funds Hellman & Friedman, Advent International and Bain Capital.